All hands, battlestations! by Nick of 37signals. 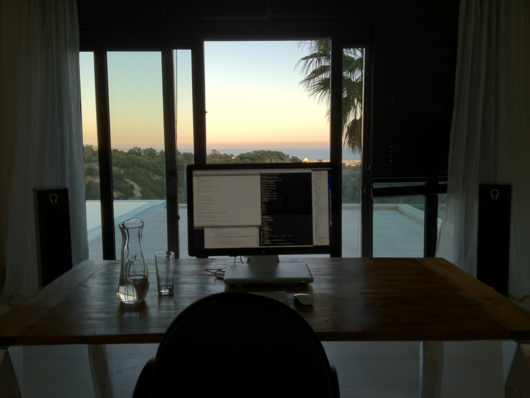 Think its time to upgrade my workstation. Yep, that’s the Crowther house lately. All the while, I’ve been feeling pretty trashed myself. Nothing more exciting than cleaning up big piles of puke when you’re nauseated yourself. Parenting is not for the weak, I guess. Keeping fingers crossed that things will be a little less eventful and that the kids are on the mend. Part of Onondaga Creekwalk to close Monday for bridge repair | syracuse.com. “Repair work will take place on 11 bridges in and around the Interstate 690 interchange with West Street…” Great! 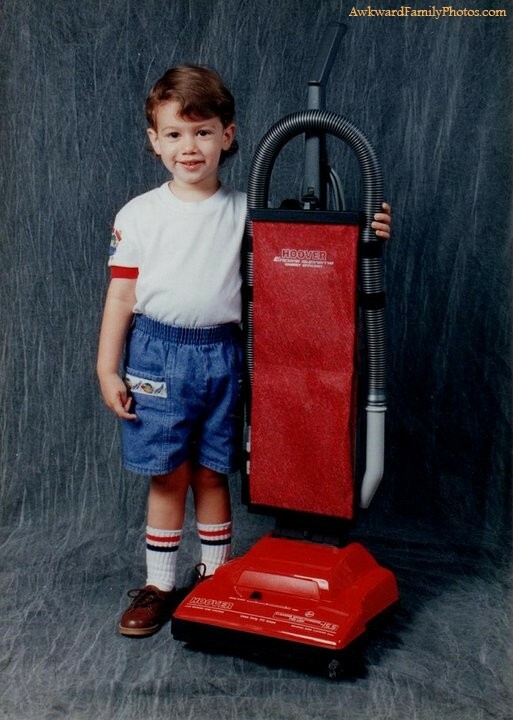 Behind The Awkwardness: Vacuum Boy « AwkwardFamilyPhotos.com 03/19/2013. I swear that could be a picture from the Crowther album. My brother Jim was (and is) a vacuum fanatic. Loved his ‘carpee biz’. After watching a zillion different Muppet related clips lately, curiosity got the better of me and I started to wonder just how some of the muppets work. Especially the ones like Swedish Chef how appear to have 2 fully articulated hands. Be sure to watch all 3 parts. Its been a rough week. Car accident (nobody hurt.) Doing tons of insurance paperwork. Getting now dead car to body shop. Trying to get by on one car with the Mrs.’ wheels out of commission for a while and tons of appointments. Sick kid not sleeping well. And the icing? Just after getting everyone to sleep last night, one of the cats messes up an aerial maneuver on my nightstand, taking out the clockradio, a lamp, my phone (which blew apart on impact on the floor) and about 5 other items flung into the far corners of the room that I can’t locate yet. Of course, this was loud enough to awaken cranky kid.Said cat will not be sleeping during the day today. Let me go fill up that squirt bottle now. 5k Obstacle Run, Oneida County, Utica, NY » The Mighty Run. So the place that brings you the best race ever (the Boilermaker, duh!) now has an adventure race. Looks like fun for participants and spectators.